Hunger does not stop because it is summer. In fact, for many families, it is worse than other times of the year. Many children rely on school programs for breakfast or for lunch. With schools closed for the summer, these programs do not operate, and children may go hungry. Every community has its own Food Bank and every one of these needs us to remember them in the summer and to donate--money or food, or time. 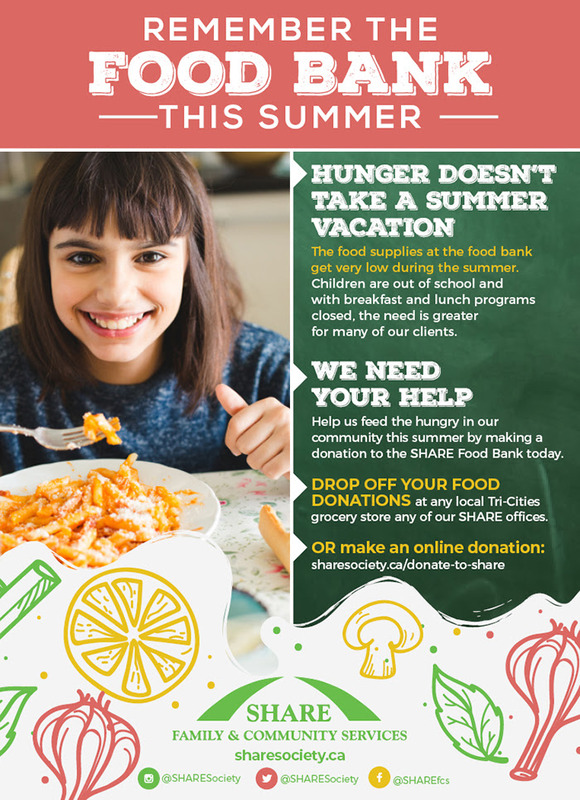 As the heat of summer starts to build, remember your neighbours and give to your local Food Bank.